By buying this product you can collect up to 108 points . Your cart will total 108 points that can be converted into a voucher of ₱108 . Personalized sound for serious audio fans. 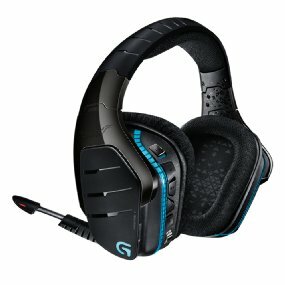 G933 is the premium wireless headset that delivers the audiophile performance gaming fans have been demanding. Whether you’re gaming on PS4, Xbox One or PC, 7.1 Dolby or DTS Headphone: X Surround Sound* and Pro-G audio drivers immerse you in an expansive cinematic sound experience. Hear enemies sneaking around behind you and special ability cues the way they were meant to be heard. With the flexibility of a wireless or wired connection plus customizable RGB lighting, sound profiles and G-key macros, G933 is all in and all you. Play lag-free on 2.4 GHz wireless for up to 12 hours per charge*. Or plug in with the included 3.5mm analog cable. Either way, advanced hybrid-mesh Pro-G drivers deliver incredibly clear highs and deep bass. 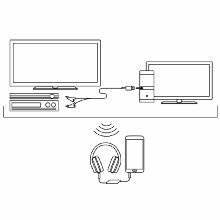 Hear every detail in immersive surround sound — on a Windows PC, PS4, Xbox One, mobile devices and even your home theater receiver or TV. *12-hour battery life without lighting or 8 hr. with default lighting. Rechargeable batteries have a limited number of charge cycles. Battery life measured at 50% volume. 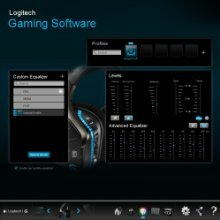 Use Logitech Gaming Software to make G933 your own. Choose from 16.8 million lighting colors. Preset your perfect audio EQs for games, music and movies. Program three on-ear G-Keys with your favorite game macros. 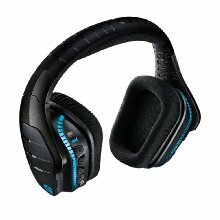 You can even personalize the look of your headset with included swappable backlit metal tags. Now you don’t have to stop in the middle of the game to answer calls and play music. Easily mix PC audio and audio from up to two additional devices using the USB Mix Adapter or two analog inputs. Game with crystal-clear communication, even in a noisy space. The boom microphone has a LED light so you know when your mic is on mute. When you’re not using the mic, fold it back into the headset and out of the way. 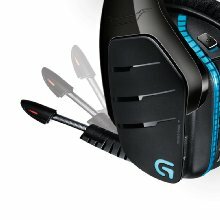 G633 also comes with a secondary cable and in-line mic for your mobile devices when you’re gaming on the go.